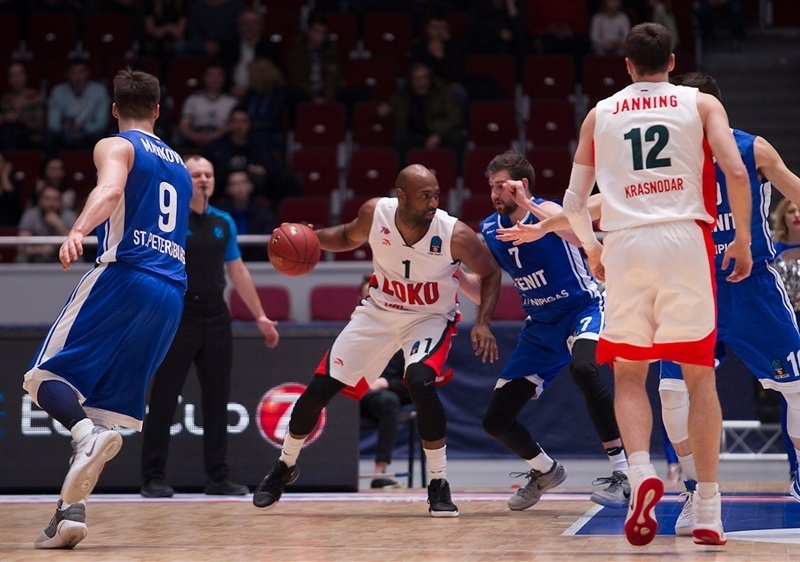 With another fast start and game-long aggressive defense, former 7DAYS EuroCup champion Lokomotiv Kuban Krasnodar vaulted into the semifinals with a 77-88 road win over Zenit St. Petersburg on Friday, sweeping their best-of-three quarterfinal series. 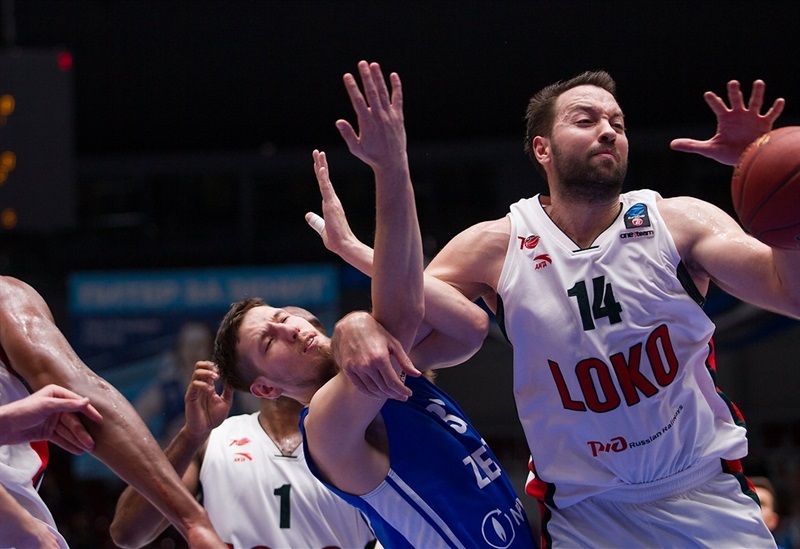 Lokomotiv blasted off to leads of 10-25 after one quarter and 20-39 midway through the second before Zenit mounted a comeback that never got closer than eight points late in the game. Kevin Jones paced the winners with 17 points and 9 rebounds. Andrey Zubkov added 14, Matt Janning 13 and Taylor Rochestie 12 points for the winners. 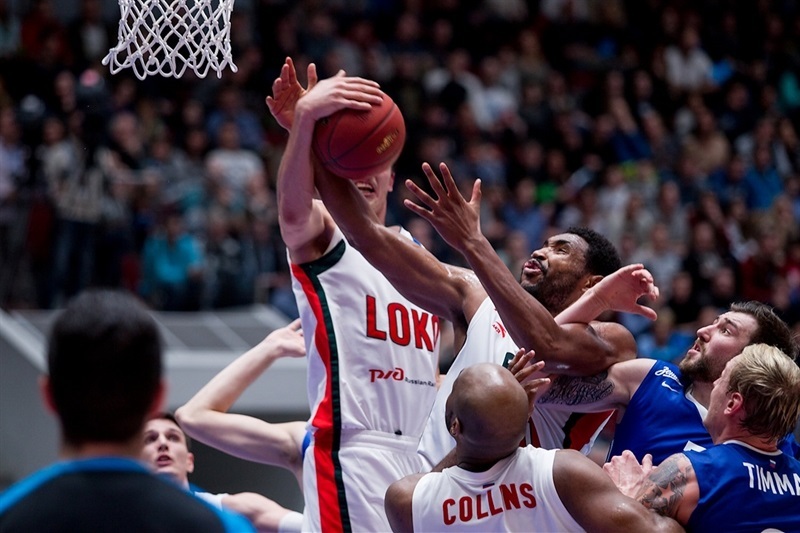 Vladimir Ivlev joined Jones with 9 rebounds as Lokomotiv dominated Zenit by 38-18 on the boards, including a 14-5 edge on the offensive glass. 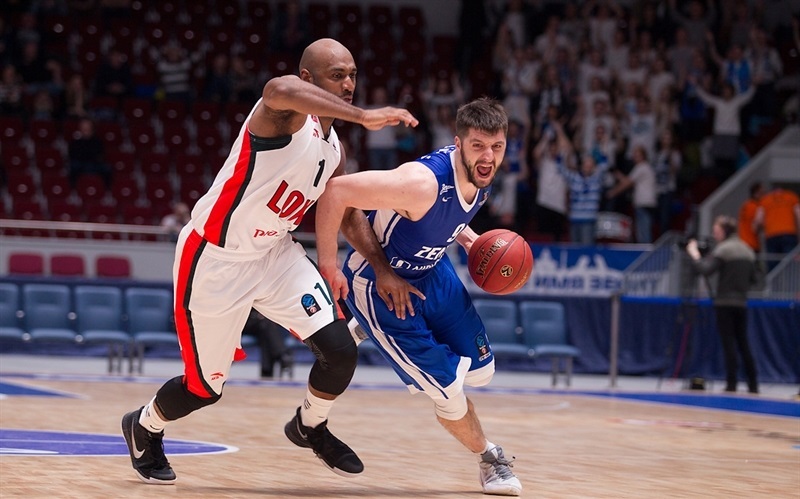 Stefan Markovic scored 21 and dished 12 assists for Zenit, while Sergey Karasev added 20 points and Aaron White 11. Jones, Evgeny Baburin and Ian Vougioukas got Lokomotiv a 0-6 lead. Karasev finally started Zenit's scoreboard with free throws, but Vougioukas matched him and Mardy Collins scored a three-point play at 2-11. Karasev hit his team's first field goal from three-point territory before Vougioukas and Anton Pushkov traded two-pointers, but free throws pushed Lokomotiv ahead by double digits, 7-17. Out of a timeout, Ryan Broekhoff and Zubkov buried threes on Lokomotiv's way to a whoppoing 10-25 lead after 10 minutes. 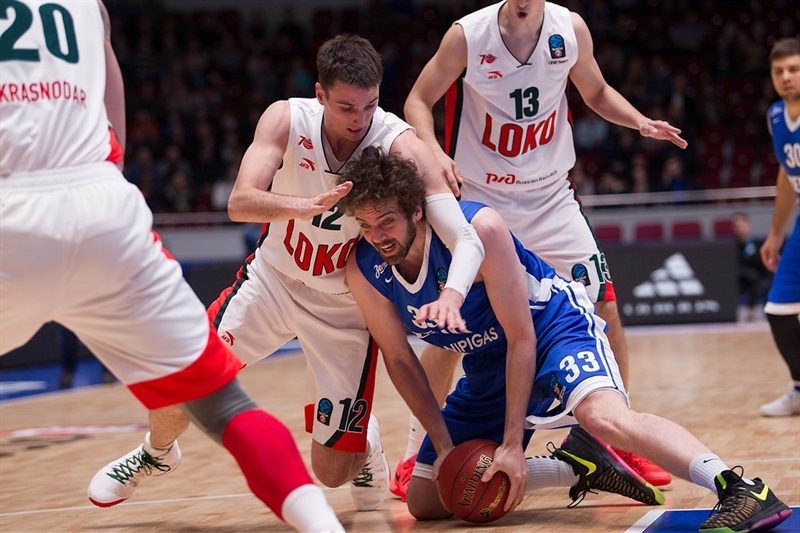 Zenit's offense revived behind a triple by Markovic and baskets by White, whose fastbreak dunk made it 20-29. A Loko timeout yielded fantastic results, however, in the form of 10 straight points finished off with a pair of baskets by Jones at 20-39. 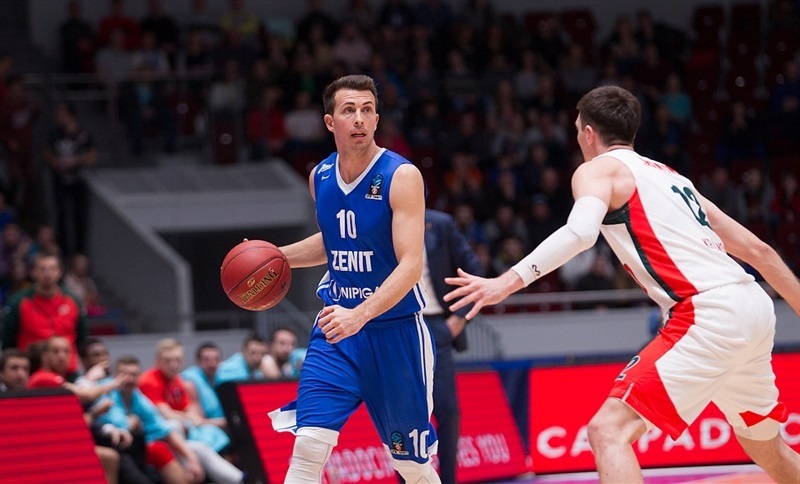 Markovic ended Zenit's drought and assisted Evgeny Valiev, but that was as much as the hosts could reduce the difference by as Broekhoff's free throws sent Lokomotiv to the lockers ahead by 29-44. 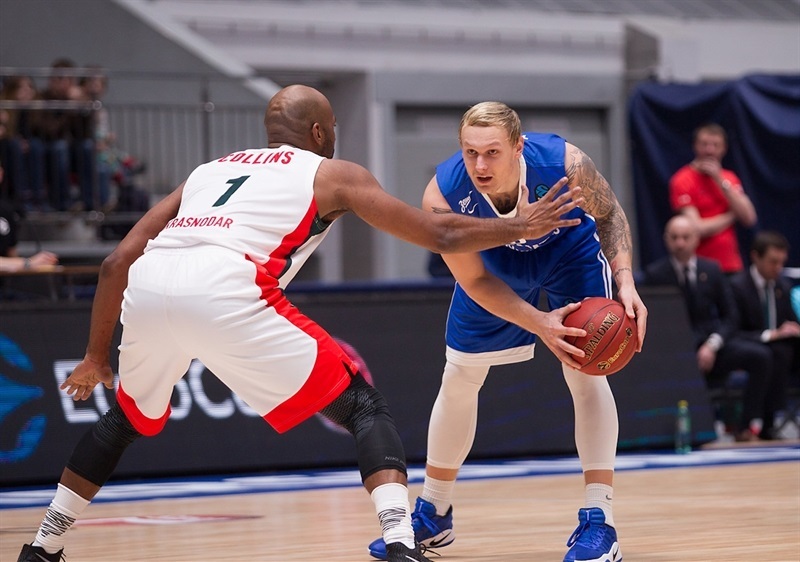 Janis Timma, who missed Game 1 for Zenit, got his first basket of the series on a three-point play to make it 34-47 early in the third quarter. White cut it closer with a triple and free throws before Markovic got the difference to single digits, 44-53, with his second shot from downtown and his own pair from the foul line. Zubkov responded with a three-point play that Janning added to with a triple before Ivlev's basket made it 47-61. 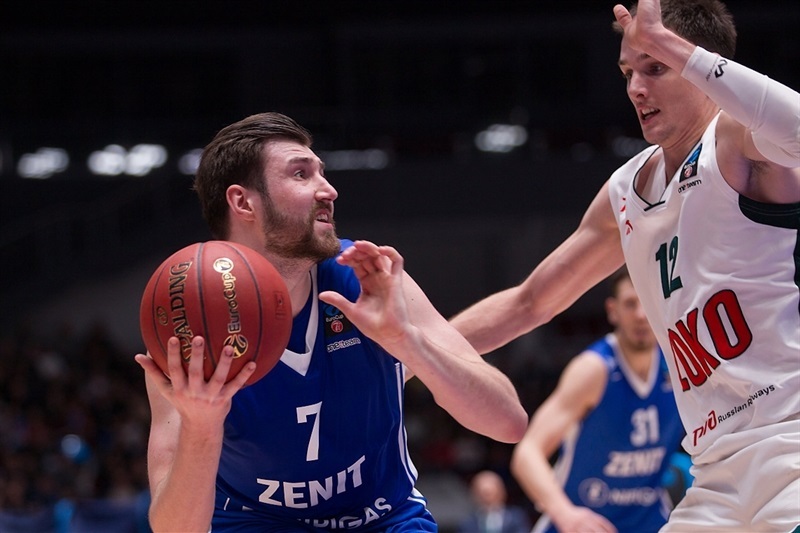 Zenit kept getting free throws while Lokomotiv downed baskets, but Karasev finished the third quarter with a buzzer-beating triple as the hosts closed within 56-67. After 90 seconds of no scoring in the fourth, Markovic struck from deep, getting the difference to single digits, 59-67. Janning followed with free throws for Loko, whose defense allowed just 1 point over the next 3 minutes as baskets by Zubkov and Jones made it 60-73. Timma and Rochestie traded triples next, but the latter's free throw and assist for dunk by Ivlev made it 63-79. Janning's three-pointer on the two-minute mark made it 66-83. Back-to-back threes by Markovic heading into the last minute cut the difference again to 74-85, but time was too short and the outcome was clear, a series sweep for the visitors from Krasnodar.